October « 2008 « Welcome to Property Source Nation! Once again Nothnagle REALTORS® is looking to grow and expand. For five decades Nothnagle REALTORS® has held the #1 spot in the Rochester market. Although growth has been steady over its 60 year history, much of Nothnagle’s growth over the years has occurred in more challenging markets. During the slight slowdown in 2008, Nothnagle has increased market penetration in Rochester by two percentage points. As the market becomes more challenging, many companies are seeking affiliations that will allow them to remain independent and competitive. “We have had many opportunities to acquire other companies but our primary goal is to empower entrepreneurs that want to affiliate themselves as franchises outside of the Rochester market,” stated John Arquette, Vice President of Franchise Sales and New Business Development. Nothnagle REALTORS® remains locally owned and operated and nothing will change with the Rochester-based operations, nor will the local branches become independent franchises. Rather, franchises will now be available outside our current market area that will not compete with agents affiliated with the company-owned branches. “The benefits to Rochester are plentiful. Nothnagle REALTORS® is planning to create more jobs in Rochester as the local corporate headquarters will be expanded and renamed ‘National Headquarters,’” stated Armand D’Alfonso, President and CEO of Nothnagle REALTORS®. Today Nothnagle REALTORS® is ranked the 36th largest broker in the country by REALTOR® Magazine. Nothnagle REALTORS® is now positioned to leverage our successful infrastructure to form strategic alliances with other real estate entrepreneurs. By leveraging relationships and proven technologies, our system adds value to brokers, agents and consumers alike. The Nothnagle system will provide a real estate platform designed to give independent brokers a competitive advantage in their marketplace. The system offers high-powered technology; agent recruitment and retention strategies; lead generation tools; agent training; and, a complete broker business system. Nothnagle REALTORS® has come full circle. After being approached by brokers from the country interested in harnessing our technology, John T. Nothnagle launched the “Gallery of Homes” franchise system in 1950 – the first Real Estate Franchise in the nation. At its peak in the 1970’s, there were over 650 companies operating 1,200 Gallery of Homes offices in nearly every state as well as Canada and the Virgin Islands. The franchise business was sold to Empire of America in 1983 and Nothnagle remained a member until 1991. “Since 1948, Nothnagle REALTORS® continues to operate on the basic principle of using innovative technologies coupled with highly trained professionals to deliver top notch service to our clients. We are excited about the opportunity to partner with other growth-oriented entrepreneurs who seek to provide an enhanced experience for their agents and clients,” said Armand D’Alfonso, President and CEO of Nothnagle REALTORS®. John Arquette has been promoted from General Manager to Vice President of Franchise Sales and New Business Development. John’s duties will include selling franchises to select companies throughout the U.S. and New Business Development in Rochester, NY. For more information on the Nothnagle system, please contact John Arquette at 585-737-9993 or email franchise@nothnagle.com. RISMEDIA—Already, many parts of the country are facing severe winter weather, although the season began only recently. And with average heating costs across the nation spiking about 11% over last winter’s, the Alliance to Save Energy recommends energy-efficiency measures to help consumers cut home energy bills, increase indoor comfort, and reduce power plant emissions that contribute to climate change. The Alliance has prepared a winter home energy fact sheet for each state and the District of Columbia, as well as for the country as a whole. They show consumers how much their heating costs are likely to increase this winter and provide tips on reducing heating and overall household energy bills. The Alliance also cites useful Web resources from the Environmental Protection Agency (EPA) to help consumers be more energy efficient around the house. One handy new online tool from EPA, the ENERGY STAR Home Advisor (http://www.energystar.gov/homeadvisor), recommends home improvement projects to undertake to increase energy efficiency and comfort. Simply enter a ZIP code, the fuels used to heat and cool your home, and the type of water heater you have. Home improvement recommendations range from sealing air leaks and ducts and adding insulation to replacing HVAC equipment that is more than 10 years old, installing a programmable thermostat, and considering ENERGY STAR qualified products when replacing windows, lighting, appliances, electronics, and home office equipment. Another EPA Web tool, “Heat Smartly with ENERGY STAR@home” offers a room-by-room “house tour” that identifies opportunities to cut home energy bills while also helping to protect the environment. Blue stars provide tips for saving energy and money inside and outside of the home – from changing the incandescent bulb in the porch light to a compact fluorescent light bulb (CFL) to setting your water heater to 120 degrees or lower. For more information and tips, visit http://www.ase.org/consumers. You are at a listing presentation and you know the seller is interviewing other Agents. Would you like to distinguish yourself as the best? It is on an age-old proven sales concept that is taught in high level sales training in every major corporation. In Real Estate it is a subtlety that most Agents simply don’t build into their skill set. Those that learn and use this skill stand out and win against the competition. Have you ever lost a listing and could not figure out why? The seller says that they had more confidence in another Agent. This skill is the reason they will choose you. They may not recognize why, they just have more confidence in you. Here’s an example, then I’ll break it down for you so that you can apply it for yourself. “I like to make these calls between eleven and noon on Thursday mornings, what is the best number to reach you at that time? There are four steps to this presentation skill. They are subtle and easy to learn. You must practice to be natural with this skill, AABC. 1. Step one is the Action you take. In the example above, communicating regularly. 2. Step two is the Advantage you bring that differentiates you. In the example above it is setting aside an hour each day. 3. Step three is the Benefit to them. In the example above it is making them certain, comfortable and confident. 4. Step four is the Close, asking for a decision. In the example above it is asking for the specific number to be reached on a specific day and time. Benefit: What’s in it for them? To hit a bulls eye use AABC as your secret weapon. You will begin to notice sellers and buyers having more confidence in you, relaxing with you, and trusting your judgment. B-The Benefit – “You have the best opportunity to find the property that has the most of what you want, before you are in competition for it and you often get it at the best price. C-Close – “Do you want me to contact you each day, as soon as we become aware of any property in which you may be interested? You will find AABC is your secret weapon. While other agents present their same old way. The buyers and sellers to whom you present see, hear, and feel something different, something more. They will more easily sign exclusive contracts, with less commission challenges. They trust you and make your job with them easier because they strongly believe in your efforts on their behalf. I like to start with a question. Do you know? Have you heard? Would you like? The Action can be very simple. It is your Advantage the way you do it differently that makes the distinction. The Benefit is always one of more money, best time frame, and/or more ease and convenience. That is WIIFT; What’s In It For Them. The Close is critical. In addition to confirming their agreement, it makes them an active participant in the process. In my work I occasionally accompany Agents on listing presentations, Agents who take over a hundred listings a year. Once they begin to apply AABC they immediately express to me that they feel, hear, and see the difference in the way their clients responded to them. This is an advanced skill that raises your effectiveness, enhances your relationships, and your results. It requires preparation and practice. It is a secret weapon that can shift your work and your career into the next gear. Rich Levin is a coach, trainer, and speaker. His specialty is working with top producing Real Estate Agents and Brokers taking them to their highest levels of production and performance in their business and in their lives. Existing single-family home sales are down by 3.3 percentcompared to September of last year, according to statistics released by the Genesee Region RealEstate Information Service (GENRIS), the information subsidiary of the Greater Rochester Association of REALTORS®. The number of homes listed for sale increased by 4.7 percent compared to last month, and is up by 2.2 percent compared to September 2007. The median sale price dropped 0.8 percent to $120,000 compared to September 2007, and decreased 0.4 percent year-to-date. There was a 13.4 percent decrease in dollar volume of sales year-to-date with $1,189,870,603, down from $1,373,494,581 in 2007. Year-to-date figures show that the number of existing single-family home sales is down by 11.9 percent in Monroe County and down 14.3 percent in the City of Rochester. The Greater Rochester Association of REALTORS® represents more than 3,000 real estate professionals in the Genesee region. Please contact the Rochester Home Builders’ Association for monthly statistics reflecting new housing starts and building permits. 1000watt Consulting and RealTrends issued a report on October 21, 2008, “The Top Ten Real Estate Brokerage Websites in America,” naming Nothnagle.com #8 on their list. The report is based on a detailed examination of the corporate websites maintained by the 500 largest brokerage companies in the country as established by RealTrends’ annual RealTrends 500 list. Nothnagle Realtors ranked 35th on the 2008 list. Over the course of a three month period, the 500 websites were reviewed based on several criteria including usability, content, features and design. The report emphasized Nothnagle.com’s focus on the consumer stating, “overall, Nothnagle delivers a superior website experience.” Nothnagle.TV and guided tours were noted as “interesting and differentiating” features. The report further stated how impressed they were with how quickly and easily consumers can reach a Nothnagle agent via many different methods including text messaging, email, phone and Live Chat. Nothnagle.com was launched in 1995 and has won several awards. Nothnagle Realtors invests a significant amount of resources into the site to keep it fresh and up to date with exclusive tools and services. With an average 13,000 visitors per day, it is the most popular local real estate site. In 2007, Nothnagle.com generated over 65,000 leads. The result? Nothnagle agents sold homes 11 days faster than the MLS average. * Nothnagle clients Get More – more leads, more offers, more sales. 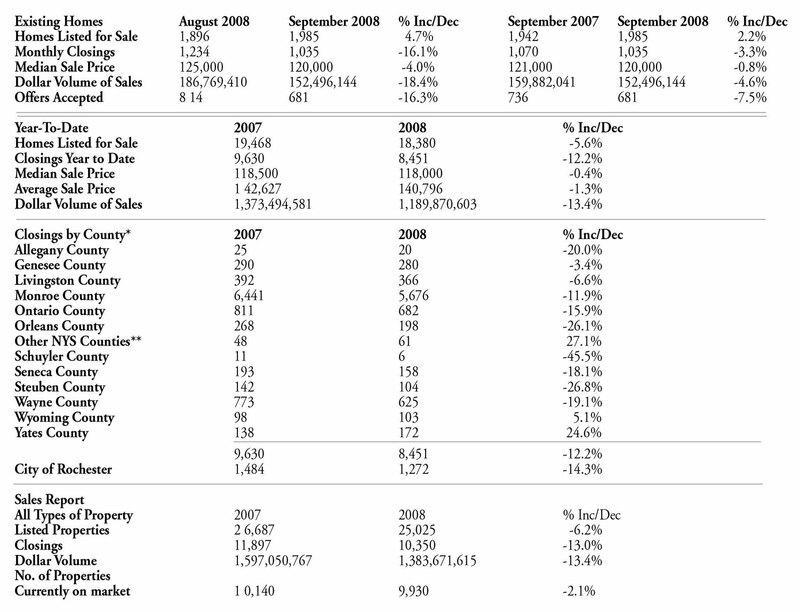 * According to data from the Genesee Region Real Estate Information Service, Inc. (GENRIS) for period 1/1/07 – 12/31/07. Nothnagle Realtors Reports Mortgage Money is Available! “People are under the impression that they need perfect credit coupled with a 20% down payment to qualify for a mortgage these days,” said Armand D’Alfonso, President and CEO of Nothnagle Realtors. “People need to know that they can take advantage of today’s opportunities in the housing market and should not hesitate because they are concerned about the mortgage market. We have access to competitive products that require as little as 3 – 5% down,” added D’Alfonso. Conventional financing is available with as little as a 5% down payment. Sellers are permitted to pay up to 3% of the sale price towards the buyer’s closing costs. While the credit guidelines on conventional financing have tightened, loans are readily available to borrowers with average credit – that is credit scores of 620 or higher. Nothnagle Realtors believes in the local economy and the stability of the real estate market in the Rochester region. GRAR has a longstanding record of involvement in political and legislative affairs. Each year, we issue recommendations of support following an interview process the candidates participate in through our Issues Mobilization Fund – Greater Rochester (IMF). IMF is a political action committee registered at the state and local levels. The primary goal is to utilize IMF funds to help elect individuals to office who share the philosophy of advancing real property rights for homeowners and promoting a strong, healthy business environment for real estate professionals. IMF is an open and fair way for real estate professionals to compete and participate in the political process. This competition is the foundation of our democracy and our contributions are never intended to influence an elected official’s position on an issue. Rather, REALTORS® are helping to elect people to office who share our philosophy. Is Your Personality Costing You Business? Funny thing about most human beings all over the world, nearly every one of us feels more comfortable with people we believe are similar to us over people we perceive as different. When you are in a foreign country you are likely to feel affinity to people you meet from your home country. When in a group of people you will most likely feel affinity to the person who shares your religion or your occupation. You can build greater relatedness, greater affinity by finding and demonstrating things in common, hobbies, interests, or backgrounds. You make the other person more comfortable when you match speaking pace and mirror behavior. These are the ways that spies infiltrate organizations, policeman build confidence with suspects, and top salespeople build rapport with clients. Perhaps the most powerful way to gain confidence and build rapport is to recognize then behave consistent with a person’s personality and behavior style. Personality is perceived through your behavior and communication. If you are friendly and outgoing you will not need to adapt to easily build rapport with other outgoing people. But if they are quiet and introverted then you are going to need to consciously adapt to have rapport. Therefore, if you can recognize another person’s behavior style and you know the way they would mostly like to be approached; then you adapt your behavior. You gain rapport more easily which leads to more trust, greater cooperation and ultimately a faster more committed agreement to list with you, purchase the property, trust your advice in a negotiation, and refer you to others. On the other hand conflict often occurs out of misunderstanding based on people’s different behavior and communication styles. I’m sure this has happened to you. You are speaking clearly and making sense. Yet the other person doesn’t cooperate, doesn’t seem to trust your judgment or your advice. All too often this happens because you are communicating in a way that doesn’t match their style. You can learn to recognize the other person’s style and adapt to it. You will create greater trust and cooperation by recognizing the other person’s behavior style; then adapting your behavior so they are more comfortable with you and more trusting of you and your advice. Identifying behavior style is the first step. As you learn to recognize and identify behavior styles you will naturally learn how to best approach and communicate with each style. Then it is a small step to learn to adapt your behavior to achieve better relationships, avoid, prevent and resolve conflicts. How do you recognize behavior styles? What are the characteristics that alert you? There are many amateur ways to try to learn to do this. The professional way, the method used by top corporations, top Real Estate organizations, and the most successful salespeople is to use the researched, tested, and proven methods of a DISC assessment. DISC is an abbreviation for the four basic personality styles. The “D” of DISC is a Dominant person, results oriented style, quick to anger, and eager to fight back in conflict. High “D’s” are often quite successful but not always nice people. Does that sound like you or someone you know? The “I” of DISC is an Influential relationship oriented person, friendly and optimistic who wants to move away from conflict. High “I’s” are fun but sometimes you question their sincerity. Does that bring someone to mind? The “S” is a Stable Steady trust oriented person, emotionally more passive, yet strong and tolerant of conflict. High “S’s” are the strongest team members and excellent negotiators but they are not easily forthcoming with their thoughts and feelings. Do you recognize a high “S” in your life? The “C” in DISC is the Conforming process oriented person, prone to fear and worry, watching for conflict and avoiding it. High “C’s” alert you to the potential dangers and drawbacks of your plans. They are excellent at implementation. But they can appear pessimistic. Perhaps you recognize that style in yourself or someone you know. It is human nature to want to pigeon hole our self and others into one category, one style. It would be convenient and would make life easier if everyone were clearly one style. It’s just not true or accurate. Each of us is a combination of these four styles. In each style we rank on a continuum from virtually none of that style to that style fully dictating our behavior. Some people are clearly dominant in one style. I am one of those. I am a high “D” Dominant, very focused and results oriented, quick to anger, and attracted by conflict, successful but not always nice. Most people are a combination of styles. My wife is very strong in two styles. She is both a high Influential “I” and Stable “S”. Her Influential style leads her to be very people oriented but only after she takes time to decide if she trusts the person. That latter cautiousness is part of her Stable style. When I hired my Administrative Assistant I purposely sought out someone who was strong in two styles. I wanted someone who was both a high Conforming “C” organized and systems oriented and also a high Dominant “D” focused on results. Certainly I wanted her resume’ to be strong and her skills to be what I required. In addition I wanted to be sure that her behavior style would work with mine and was well suited for the position she would fill. The quickest and most effective way to learn to recognize the different styles and how to adapt to them is to obtain a full formal DISC assessment on you. At RichLevinDISC.com you can see a sample of a full DISC assessment. A DISC assessment clearly and specifically identifies a person’s level of each of the behavior styles. The DISC assessment is a questionnaire you complete online in about ten minutes. Within minutes you receive a full 22 to 26 page DISC assessment that details your behavior and communication style including your ‘Ideal Work Environment,’ ‘Do’s and Don’ts, of Communicating With You,’ ‘Keys to Motivating You,’ Areas for Improvement and more. The first step in gaining the skill and insight into recognizing styles and adapting your behavior is understand your own DISC style. It then becomes easy to apply your understanding to quickly learn about the characteristics of the other styles. As you learn to recognize each style you learn to adapt your behavior and it becomes natural to develop connection and trust that leads you to greater success in your business and your personal relationships. The question often asked is whether one style or another is more likely to be successful as a Real Estate Agent. Statistically High Dominant “D” and High Influential “I” styles are higher performers in a sales environment including Real Estate. However Stable Steady “S” styles are the strongest negotiators. And some of the most successful mega company owners are very high Conforming “C” style. So, each style can achieve exceptional status and results in specific positions throughout the Real Estate profession. As you more clearly understand your style you can choose the most successful direction for your career. This is the first in a series of articles to lead you to build the skills that will make you a much more powerful and successful communicator. In future articles you will receive detailed information on each style, how to recognize and adapt your behavior to each, which styles are more likely to be in conflict with each other and how to increase compatibility and many other subtleties of the styles. All of this information and more is included in a 35 page manual “LEARNING and UNDERSTANDING COMMUNICATION, PERSONALITY, and BEHAVIOR STYLES,” that you can receive in addition to your DISC assessment. If you wish to order a DISC assessment for you and others and/or you would like a copy of the manual go to RichLevinDISC.com. If you would like to ask Rich Levin a question, just go to AskRichLevin.com and post your question. Stewart Arulson sold over thirty homes last year. He sold over forty the year before that. In fact he has sold between thirty and fifty homes for the past five years. He is eager to get to another level, the next level. When an Agent like Stewart calls me about coaching I know that his next level will occur from hiring the best people rather than from refining his skills, increasing his prospecting, or acquiring the hottest new lead generating tool or system. Most Agents find hiring Real Estate assistants and buyer specialists challenging. There are specific skills and a process that we use with our clients that has proven to be extremely effective in hiring the best people. You are destined to hire badly unless you are clear on the skills and best personal style that will be required for the job. Will the job require organizational skills, computer skills (what programs or applications), graphic design skills, communication skills, and/or selling ability? These are skills. Do you need someone that is great with people, well organized, results oriented, a team player or a team leader? This is personal style. You clarify the skills and style required by writing down what you want that person to do. Then review it yourself and possibly with a trusted spouse, broker, or coach discussing the appropriate skills and style for the specific tasks and responsibilities of the position you wish to fill. I call this creating your job profile. To understand and determine personal style we use a DISC assessment. There are four basic personal styles. Each of these has advantages and disadvantages for specific job responsibilities. You may look and say that you want all four orientations. Unfortunately human beings are not made that way. A wrench may be used as a hammer. But using the wrench as a hammer does the job poorly and ruins the wrench. A human beings make-up is appropriate for certain jobs and not for others. Mismatching the style to the wrong job gets the job done poorly and “ruins” the person and possibly their relationship with you. So, the first step is to create your job profile. List the roles, jobs, tasks, and responsibilities you want the person to accomplish. Then deduce the skills needed and the style best suited for those jobs. There is always a temptation to hire people that are recommended to you. More often than not it doesn’t work out. So, I believe in addition to telling everyone you know that you are looking; I strongly suggest that you advertise for the position. Once you have the job profile described earlier, it becomes very easy to write an effective ad for the position. The simpler the ad the more responses you will get. There are a lot of people looking for this type of position so I favor spending a little more on the ad and letting it pre-qualify the candidates. Notice that there is no phone number. If the candidate for an admin position can’t e-mail a resume’ you don’t want them. Also, I am not sure what the formal etiquette is but I suggest that you do not have to respond to resume’s that do not interest you. What do you look for in a resume’? You want to see the level of neatness and language that you would be pleased to represent you, the work experience that indicates the skills that you desire, plus consistency of employment and longevity on the job that shows reliability. Many people ignore this step or simply haven’t considered it. It is a hug time saver in addition to providing information you might not otherwise obtain. I suggest a brief phone conversation to determine whether you have a candidate you wish to take the time to interview in person. These two questions open a conversation in which you listen for two things. Obviously you are listening to the answers to the questions. As importantly you are determining if this is the voice, if this is the demeanor that you want representing you on the phone in your business. You can leave the conversation with the comment that you will be in touch if you are interested in a personal interview. Or you can schedule an interview. As we schedule the personal interview we explain that a DISC assessment will be sent to them and we will need it complete before the interview. It takes ten to fifteen minutes. We use a DISC assessment from Target Training International Ltd. This is sent to them by e-mail and you can have the result within minutes of their completing it. You can contact us for more information on this. I do not use the DISC as a strict determinant of qualification for the job. I do use it as a guide to give me insight into the personal style and potential tendencies the candidate may have. After the phone interviews you will probably reduce the resumes and candidates to less than five, often just two or three. We schedule an hour for each interview. That may seem like a long time. It is wise and necessary. Consider that you are going to work with this person for thousands of hours. In a very real way you are placing the pace and extent of your success in their hands. Consider this and you will choose to take the time to ensure you choose the best candidate. Have a complete list of interview questions prepared. Our list has 24 basic questions then we add real life situational questions that pose actual situations of what to do when faced with a difficult client or making a difficult choice. One corporate executive told me that he interviews for at least a half hour if he is interested in hiring the person. He said, “Rich, they may be able to fool you for a while but after a half hour of answering your questions they wear down and you start to see what the person is really going to be like to work with day after day. I don’t use a time measure. I do know that my list of question takes over a half hour to ask. It is built to ask the same thing a couple different ways. By the way, please be sure most of the time is spent with the candidate answering your questions, not your answering theirs or your elaborating on the position. This first personal interview is the best time to prepare them for any parts of the job that you feel may be particularly challenging for them. This is the time when you can tell them the “bad parts” and get their agreement that they can and will handle them. When an Agent is looking for an administrative assistant I suggest at this first interview you prepare them for their job changing as you grow, as the market or the myriad of other things from forms to laws change. I suggest you explain that theirs will be an exciting and dynamic position, seldom boring and often challenging. As above I ask their agreement that they embrace that. Some of you may be thinking, ‘who would ever want to work with a boss like that. Everything I said was true and the person who would work with me was one that made it through my rigorous interview process. She knew she was selected for her work ethic and that she would be appreciated for that. Other important elements to hiring the best people include structuring compensation at the outset with the job profile then at the second interview negotiating the compensation. Training, supervision, and motivation are obviously very important. These last steps are subjects on their own and this article is already long enough. So watch for part two and we’ll cover the balance. Until then, live, love, and be happy. Rich Levin is a coach, educator and speaker. He and his coaches’ specialty is working with productive Real Estate Agents and Brokers taking them to their highest levels of production and performance in their business and in their lives. Rich has been in the Real Estate Business for over 30 years with the last 15 dedicated to coaching and speaking. If you would like to schedule an hour with Rich to a complete a Business Plan for your individual business Contact him at 585-244-2700 or Rich@RichLevin.com or Register for “Rich’s Success Community” and receive ongoing tips, articles, and product discounts. Contribute your thoughts to Rich’s ongoing conversation about how to succeed in your business and your life at RichLevinBlog.com. Yesterday, a friend said to me, “Rich, now I know you shouldn’t do business with friends.” I held my tongue because I completely disagree with the sentiment. In my opinion you should always do business with competent friends and never do business with someone just because they are friends. He explained that he had put his house on the market eight months earlier with his best friend’s wife. She was not able to sell it. So he hired an Agent who sold a lot of the homes in his neighborhood. The first Agent, friend of wife, said she liked the quilts on the walls. And she said the new buyer might like the (old) carpeting. Was this incompetence or wanting to placate a friend? Either way, it cost the original Agent the listing, over six months of time and expense, plus possibly the relationship. Obviously, it cost the client in many ways as well. The secret to getting your listings sold is to convey to the Seller what it will take to make their house show its best. I know. This is not much of a secret. Every Agent knows this. But, do they do it? The ones who do this get their listings sold, the ones that don’t waste time and money. If you are not sure what to tell a person, here are a few tips and you can search “Real Estate showing tips” on the web to find many more. Less is usually better than more, less pictures, less furniture, less on the walls, less on the counters and less on the floor. Lighter is better than darker. Put bulbs in every fixture, the highest wattage recommended in darker rooms. Turn on all lights and open all curtains. Freshen up paint. Shampoo rugs. Expose hardwood. Wash windows. Make bathroom fixtures and kitchen surfaces shine. Place a few planters with fresh flowers near the entrance, mow the lawn, trim the edges, and in winter (in the north) keep it shoveled, salted, and/or sanded. On the outside paint the most street visible areas. Stand in the street and look at the paint or siding, shudders, curtains, plants, grass, drive way, roof, chimney, etc. Trust your instincts: If you think something should be done, generally you’re right, do it! paperwork. Some of the time you will offend the seller with your suggestions and cost yourself the business. We coach Agents who are selling hundreds of homes a year. Most of them were selling a whole lot less than that when they began coaching with us. After years of coaching success we know what the difference is between Agents that constantly struggle and Agents that are wildly successful in their business. Much of the difference is these basic things they do consistently and conscientiously. Advising the seller as above is one small part of one of those basics systems. If you would like to learn how to build money making, business building habits and systems into your business that will take you to the income and career you desire. Rich and his coaches specialize in working with Real Estate Agents and Brokers taking them to their highest levels of production and performance in their business and in their lives.